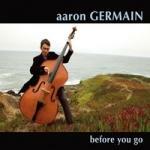 San Francisco based bassist/composer Aaron Germain's follow-up to his debut Before You Go (Self Produced, 2010) harnesses some of the Bay Area's finest musicians on another set of the leader's original compositions. The personnel, who includes French/Vietnamese guitarist Nguyen Le, is completely different to Germain's eclectic debut and it sounds like it too. Whereas Before You Go reflected Germain's command of bop, funk, blues and Latin, Chance is more stylistically homogenous. To be sure, Germain's diverse musical threads are present, but he weaves them together in a more seamless manner. "Antes de Ir" begins with flautist Mary Fettig and Le stating the melody in unison. Le peels away with shimmering single note lines, buoyed by pianist Frank Martin, drummer Deszon X Claiborne and Germain's steady bass. Fettig picks up the reins, unfurling a mazy solo before reuniting with Le. A piano, bass and guitar unison riff momentarily injects a burst of pace, and apart from another brief flute excursion, this riff underpins a thunderous drum feature that continues until the composition's dramatic conclusion. It's a thrilling opener and has all the makings of a live tour de force. Le is a significant presence throughout; his lyricism on the intro to the Bob James-esque "Ginger Skin" has a veena-like singing quality and the solo that follows couples tremendous fluidity with an overtly melodic sensibility. Germain's outing on electric bass is brief, and in general throughout the recording he orchestrates the music with intricate, grooving bass lines. His funk work on the lively "Bunk Bread" colors the tune as much as Le's biting jazz-rock solo. In firey mode, Le's ever-evolving solo evokes jazz-fusion guitarist Dean Brown. Martin on B-3 Organ and Germain respond with charged solos of their own. There's more 1970s' funk/jazz-rock on "Already Not Yet"; Le's wacka wacka guitar is circa Starsky and Hutch while Martin flowing Fender Rhodes lines and squealing Mini Moog recall keyboardist Charlie Haden but this is essentially an intimate trio dialogue and it provides an absolute highlight of the set. Chance serves up a pleasing blend of chops, grooves and strong melodies, with compositional nuance to boot. It serves further notice of Germain's growing confidence as both composer and leader and should appeal to jazz-fusion fans at both extremes of the spectrum. Track Listing: Antes de Ir; Ginger Skin; Bunk Bread; Chikurin; Nhung Bac Thang; Already Not Yet; Ringo Oiwake Intro; Ringo Oiwake. 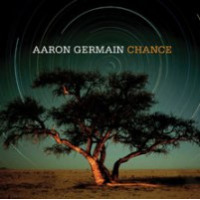 Personnel: Aaron Germain: electric and acoustic basses; Nguyen Le: guitar; Frank Martin: piano, Fender Rhodes, B-3 Organ, Mini-Moog; Deszon X Claiborne: drums; Mary Fettig: flute (1); Va-Anh Vo: dan trung (5).